These rare dogs are companions and hunters who love their people and occasionally break into barking frenzies. American Water Spaniels (AWS) are medium-sized muscular hunting dogs. They have black or brown noses, and their ears are long and wide. 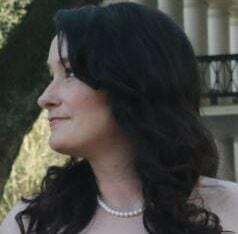 Their eyes are slightly rounded, and the eye color can vary depending on the coat color (bright yellow is considered a fault, according to American Kennel Club standards). The feathered, medium-length tail is tapered and curved, and the toes are webbed and well padded. AWS dogs have a double coat that is water-resistant and can be wavy or curly. Coat colors include liver, brown and chocolate. There may be patches of white on the chest and toes (for conformation purposes, white patches are considered faults, according to the AKC). The exact details of American Water Spaniels’ origin are unknown, but their ancestors are believed to include Irish Water Spaniels, Curly-Coated Retrievers, Field Spaniels and Old English Water Spaniels. The breed was developed in the 1800s in Wisconsin and was a favorite of hunters because of the dogs’ versatility. The United Kennel Club recognized the American Water Spaniel in 1920. The breed was added to the AKC in 1940 and named the state dog of Wisconsin in 1986. Today, the dogs are companion pets and hunting dogs who retrieve rabbits, ducks and other animals. American Water Spaniels are intelligent, eager to learn, confident, obedient and excellent watch dogs. They are great with children and get along with other animals, although they may chase after game animals if they previously hunted. Snoring is common, although not all AWS dogs run like little lawnmowers as they sleep. This breed craves human companionship and can become quite attached to people. These dogs are also sensitive to harsh discipline. Use positive reinforcement training methods and stay consistent. As with any dog breed, we recommend socialization. These dogs do have one behavior described as annoying by Paul R. Morrison, author of American Water Spaniel: “American Water Spaniels have been known to go into a prolonged barking frenzy over things like songbirds feeding in the back yard, squirrels foraging for nuts or a shoe dropped on the floor.” He suggests training to curb unwanted barking. 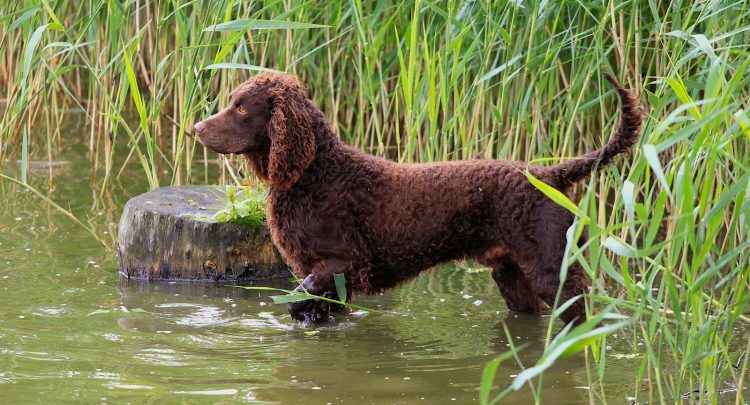 HIGH: American Water Spaniels are fine swimmers and hunters. They’re pretty adaptable to various terrains. Although they could feasibly live in an apartment, a yard would better suit their lifestyle. Because this breed is so energetic, exercise isn’t optional. The dogs can become destructive and bark or whine excessively if you don’t allow them to expel their energy. MEDIUM: American Water Spaniels don’t shed much, but you’ll often need to brush the oily, water-resistant coat. A slicker brush works best to remove dead undercoat. Trim the hair between the paw pads, but be careful — don’t snip into the webbing. The AWS is a light shedder who may drool. Bathing can be occasional or as needed. 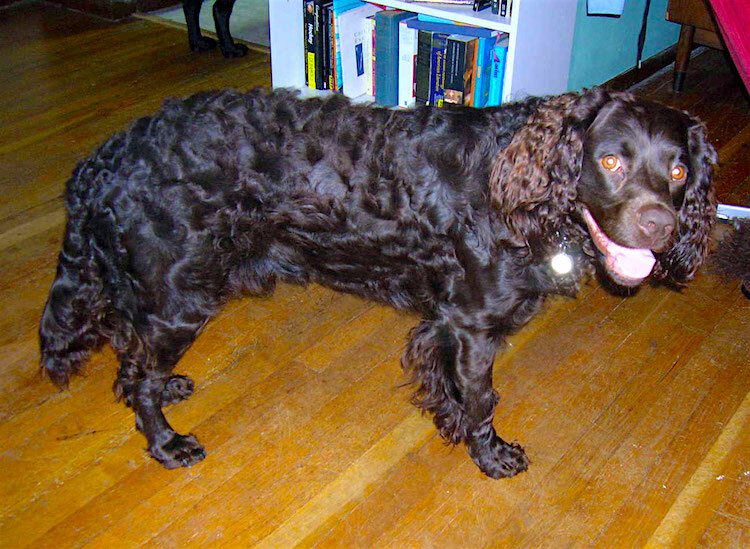 Finding an American Water Spaniel to adopt is a challenge. If you have your heart set on getting one, you’ll probably have to contact a breeder. If you go this route, meet the dog’s parents, view the breeder’s home or facility, and get copies of the health tests performed on the dogs (hips, eyes and heart clearances). Watch out for the classic signs of a puppy mill operation.